Chris Kirk shot an eight-under 63 on Thursday. 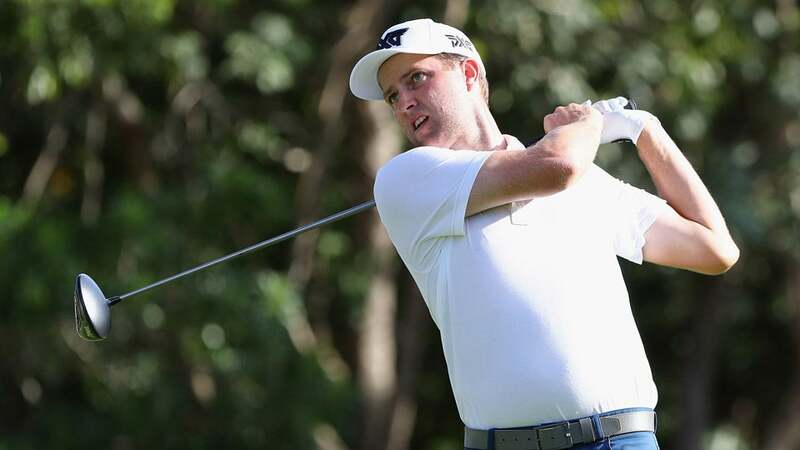 PLAYA DEL CARMEN, Mexico (AP) -- Chris Kirk shot an 8-under 63 on Thursday to take a one-stroke lead in the OHL Classic at Mayakoba. Kirk had four birdies on each nine in his bogey-free round on Mayakoba's Greg Norman-designed El Camaleon course. The former University of Georgia player has two top-10 finishes in three starts in the new PGA Tour season, opening with a tie for eighth at Silverado and tying for second in Mississippi. He tied for 61st last week in Las Vegas, closing with rounds of 75 and 74. He won the last of his four PGA Tour titles in 2015. Ben Crane, Camilo Villegas and Gary Woodland were tied for second at 64. Mexico's Abraham Ancer bogeyed the final hole for a 65. NCAA champion Aaron Wise also was 65 along with Webb Simpson, Scott Piercy, Kevin Streelman and Nicholas Lindheim. Jim Furyk had a double bogey in a 74 in his first round of the season. Defending champion Graeme McDowell opened with a 75.